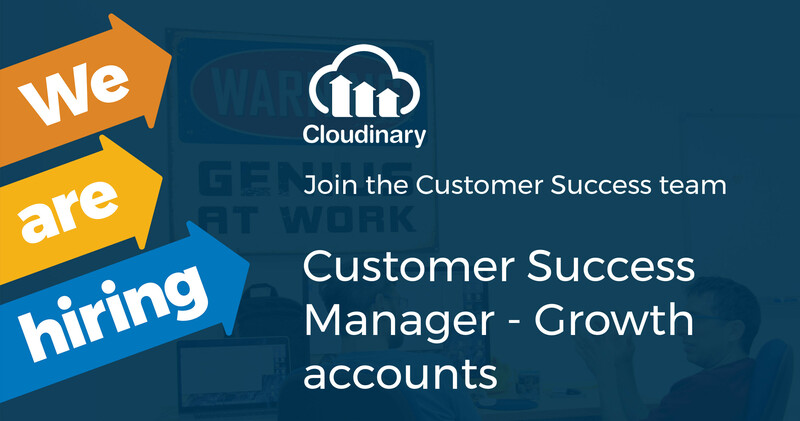 Cloudinary is searching for a talented, tech-oriented and experienced Customer Success Manager to help our customers make the most out of Cloudinary. You would be part of our Customer Success team and would be focused on engaging and retaining our customers, and encouraging fuller adoption of Cloudinary's solutions, in a 1 to many model. The ideal candidate would have a strong interest in both business and technology, and must be comfortable in a customer-facing position. You will be the customer's trusted advisor and subject matter expert for everything Cloudinary-related, and should be comfortable with discussing product capabilities and communicating the customer's voice internally. Work location at Israel office.